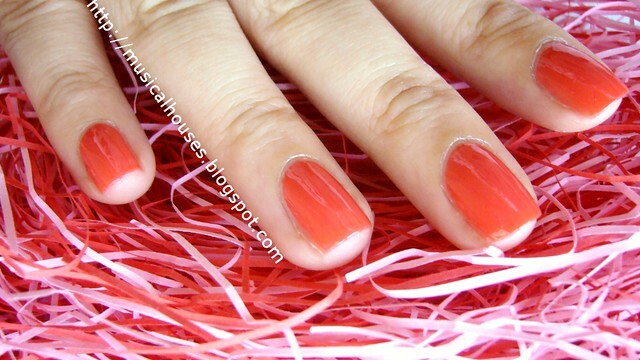 Megan Miller Coral Bliss: The Perfect Summer Coral! 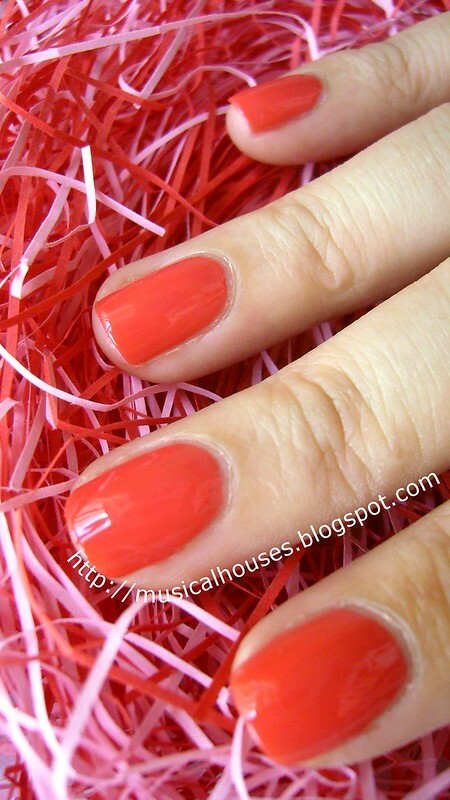 Ooh, I think I have officially found my official favourite coral colour for summer! And it's no other than Megan Miller Coral Bliss! Isn't it amazing? I've never been one for corals very much but this is perfect! 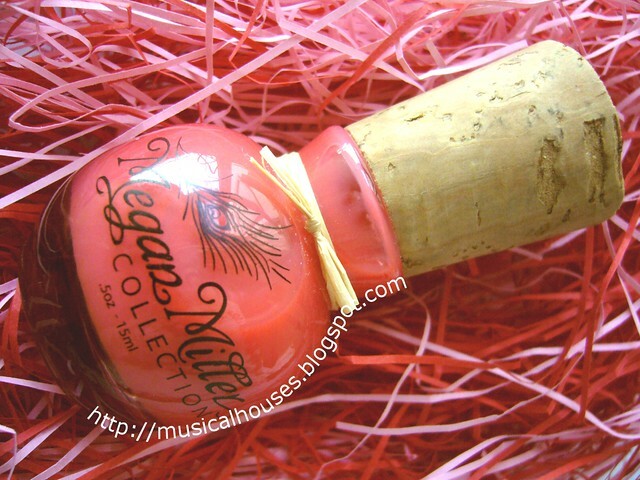 Megan Miller is a US-based brand of nail polish with an eco-friendly slant, right down to the bottle. I mean, just check out the cool cork-top bottle. Definitely something different. I'm not sure how I feel about the clunky polish bottle or the cork-top, since it looks kinda big and easily dirtied, but it certainly is something different. But as a grue polish fanatic knows, it's not about the polish bottle, right? It's about the colour and the application! And I'm pleased to say, this colour is gorgeous. i don't know why I've passed over corals before, because this just wowed me so much! 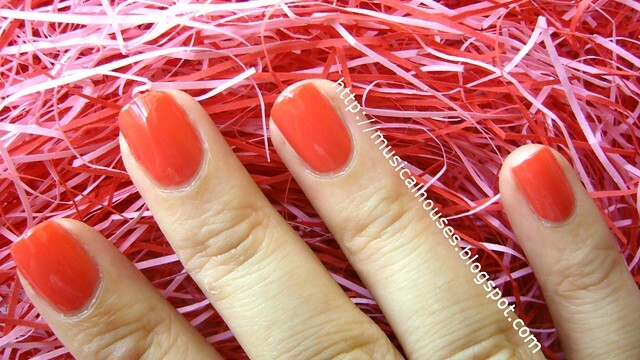 It's a gorgeous coral that is opaque in 2-3 coats. It's slightly milky looking, and not too bright or too mild. The application on Megan Miller Coral Bliss is also actually really great. I've never tried Megan Millers before (I think I have a bottle sitting around that is still on my to-try list) but if all their polishes are like this, then - wow. Although I thought the big cork brush handle would make application awkward, the polish applied smoothly without a hitch. The polish consistency is good too - it's a little on the thin side but it flows nicely. If you're interested in buying Megan Millers, they are sold in Singapore via Mei Mei Signatures for S$18 each. There's a "colour of the month" that is sold at $13.50 only for that month too, so check it out if you're interested! That is an amazing color. :-) I'm considering getting a bottle, I'm just wondering if this particular brand will be for sale in SA?